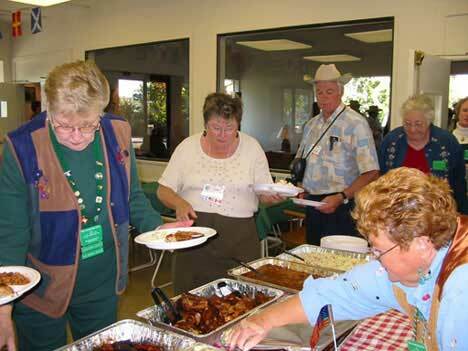 Colleen Scott, and Pierrette and Gerry Cot� help themselves to the Bar-B-Q. 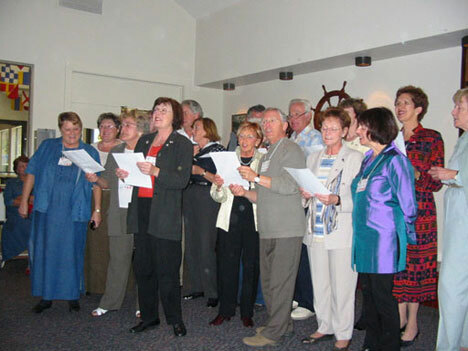 The Ambassadors from Montreal serenade us with a farewell song. Return to the Montreal Main Page.